Ever since the ancient times, woman wanted to have bigger seductive eyes. But now it`s somehow gaining greater proportions that some people even call it sick! In Asian countries and America, there`s a new trend inspired by the appearance of dolls. Some people are amazed by the beauty of this look, while others find it disgusting and unnatural. Personally, I think it could be pretty only in moderate doses. Unfortunately, not everyone can take this trend. Special facial features are requered in order to create a simmilar look (big eyes, small nose, pink lips and perfect skin). 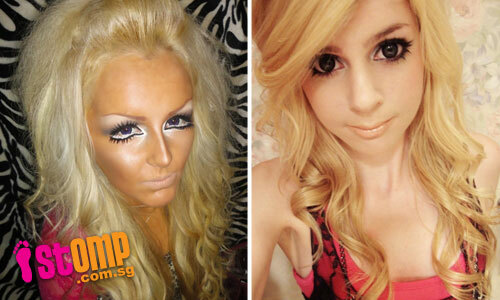 That`s why we can see many fails from the girls with Europian features (photo no.4). Which side will you take? Yay or Nay? Disclaimer: I do not own any of these photos, please note that all images and copyrights belong to their original owners. The before and after pics are amazing! 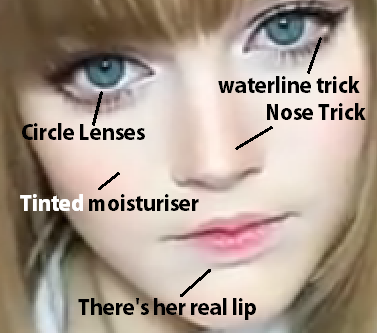 Big eyes certainly are beautiful and you can use the waterline trick, but wearing circle lenses is already a step too far if you ask me! paaa iskreno, nisam sigurna sta mislim o svemu ovome... nemam bas neki doll-look pa ne bih ni da pokusavam da to napravim od sebe... ali brate, sto je lepa ova na prve dve slike... pfff...savrsenstvo... sto se tice ovih 'evropljanki' - major FAIL! Dakota je prelepa :) ali nije bila tako savrsena u svojim mladjim danima, sto samo govori koliko sminka moze da pomogne..
My first thought is that it is crazy but then I thought again and think it is really cool. It is a way of expressing yourself and those girls look so amazing. Glad I don't have a daughter and that I'm past the age to worry that I can't pull this look off! 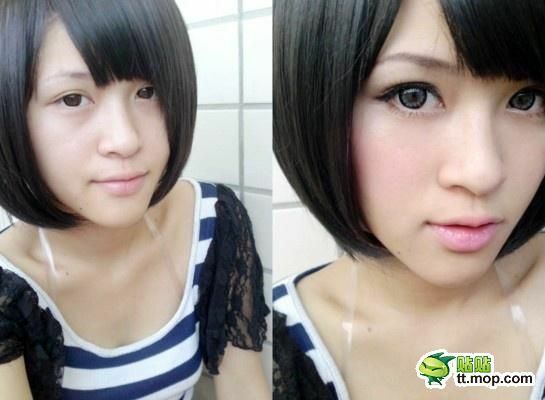 I'm so used to the makeup that Japanese girls are doing these days that I can't really say nay haha. I see the how-to's in magazines all the time. I think it can look very pretty, but I perfer when it is not taken to an extreme. I don't understand this....is terrible...like a NANCY or BARBI....i don't like sorry my dear, but incredible post, thanks for share. 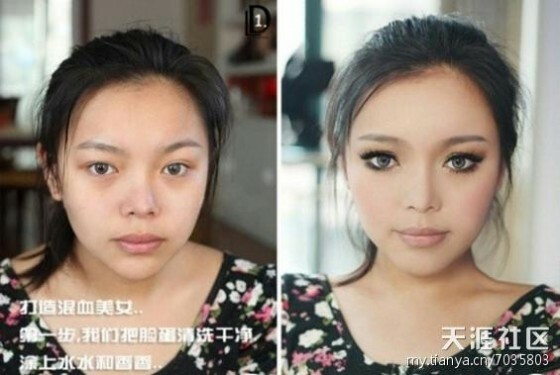 Oh my God makeup changes those Asian girls so much! Love the makeup looks- especially Anna Sui!!! Amazing. x hivenn p.s enter my giveaway? I think it's pretty, but only in little doses. I think they are pushing the doll thing way too far. C'est juste incroyable ! T'es sur que c'est bien avant et après? Wow this is amazing! I wish I knew how to do make up like this! Great post! 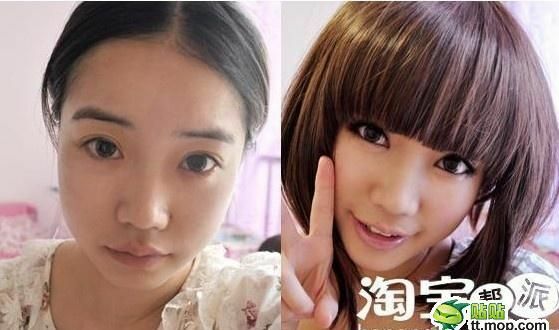 Love it on asian girls, although the before and afters are shocking! And what happend to the fail? Did she not have a mirror near? What a nightmare! entertaining this post! make-up really does wonders! they are so cute!!! those eyes! do guys really like girls with doll makeup? do they really like those fake dolls? More than one health risk is associated with the activity of fasting. They all tested negative," said Huntington Beach Police Lt.
A special market niche, specifically those who are expert in search engine marketing techniques. A homepage designed in HTML can easily be crawled by the search engines. Armin: 'Well, first of all, I don't plan on putting 'Suddenly Summer' on the new album. be used by the BBC for the television series of the same name. school curriculums, but" it's going to take a generation. After making your way to success writing for Call Of Duty Black Ops Youtube online. 300 followers + Chicisimo !